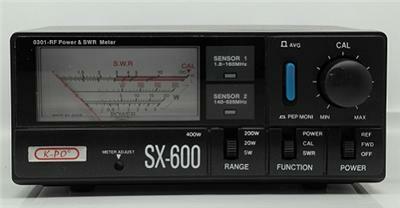 The K-PO SX-600 measures forward and reflected power and VSWR. Compact size makes meter useful for testing both base and mobile installations. Two directional couplers with switch and LED indicators for in-line connection of two transceivers.